Step 1: Collect the parts you will need. 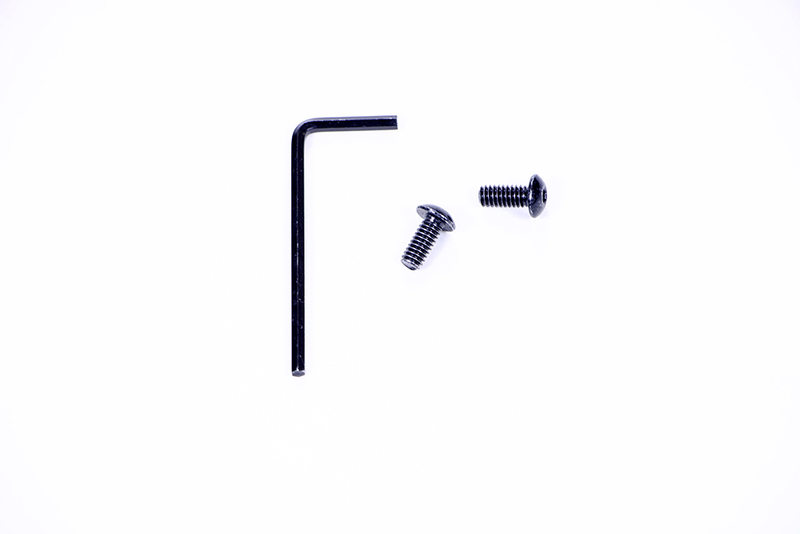 You will need (2) #8-32 x 1/2" Screws and (1) 3-32" Hex Key. Step 2: Secure the V5 Robot Radio to your V5 Clawbot and wire it to the V5 Robot Brain. 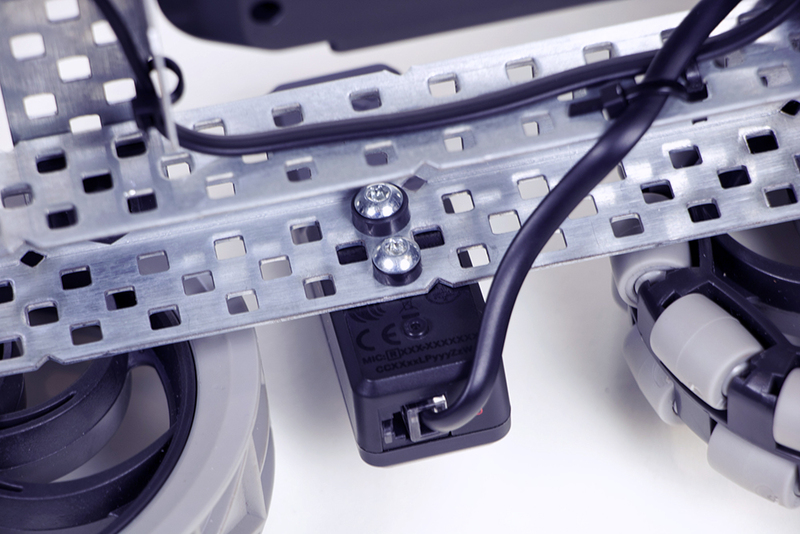 Use the screws and key to secure your V5 Robot Radio on the chassis between the two wheels. This image shows the inside of the chassis with the V5 Clawbot on its side. As you can see, 2 Plastic Spacers 4.6mm were also used but they are not required. Use a Smart Cable to connect the V5 Robot Radio to Port 21 on the V5 Robot Brain. Do not wrap the V5 Robot Radio in metal foil. The higher the mount location on the build, the better. Do not mount the V5 Robot Radio in a steel box. Keep the thinner part of the V5 Robot Radio away from other metal.